WORRIED parents are flooding an infant formula company's hotline, amid revelations almost 68,000 cans of formula could be tainted with a botulism-causing bacterium after the Fonterra contamination scare. Karicare products affected were being bought by New Zealanders as late as Saturday night before a precautionary recall notice was issued, angering parents around the country. The Government has criticised Fonterra, our largest company, for its handling of the situation amid growing frustrations at the amount of misinformation and lack of details, given it has known about the scandal since Wednesday when test results confirmed a contamination. Last night, Prime Minister John Key told the Herald he was "deeply concerned" about the issue and said the trade implications were worrying. This morning the New Zealand dollar slumped on concern the contamination scare will hit exports, hitting a month-low of 76.99 US cents. "The kiwi has dropped a cent and a half in reaction so far because it has affected exports,'' said Imre Speizer, senior currency strategist at Westpac Banking Corp.
"Countries have suspended exports and the kiwi has had a knee jerk reaction. Until we do some quantitative analysis on exactly what this means for the New Zealand economy, I can't say how much further the kiwi will go or not go." •As well as Karicare recalling two infant-formula products, an animal feed company recalled a calf milk replacement and Coca-Cola (China) recalled a milk-drink product. •The Australian Government and Food Safety Australia New Zealand said parents "may wish to use alternative brands" of formula while two batches of the affected WPC80 used there were being traced. One batch failed a Clostridia test and the second was used in products exported to NZ, Thailand, Malaysia and China. Karicare issued a recall notice at 1.30am yesterday for three batches of infant formula in two products, Karicare Infant Formula Stage 1 which was on sale from July 2 and Karicare Gold+ Follow On Stage 2, on shelves from July 18. A spokeswoman for Nutricia, which owns the formula brand, said 67,875 cans were potentially contaminated but none had returned any positive tests. Concerned parents have been flooding Nutricia's helpline which has been receiving between 100 and 200 calls an hour. Katherine Rich, the chief executive of the Food & Grocery Council, said Nutricia was a member and the recalls appeared to be precautionary. "The main issue with infant formula is you have to have an even greater dedication to higher food safety standards than other products." Fonterra announced early on Saturday that a dirty pipe at its Hautapu plant in Waikato might have contaminated three batches of a whey protein called WPC80 with Clostridium botulinum. Fonterra has defended its handling of the scandal but it has been decried by government ministers. Ministers Tim Groser and Steven Joyce talk to waiting media after a meeting with Fonterra over the botulism scare. "I've been very clear today that we've obviously been concerned about the apparent delays, and made it very clear to them that we've got no time for those delays," said Economic Development Minister Steven Joyce. "They actually have to front up and front up very fast." Mr Joyce said Fonterra blamed "procedural issues" for the communication delays. Trade Minister Tim Groser said it was still unclear how the scandal would affect New Zealand's $13.5 billion worth of annual dairy exports. "The entire world knows about this and different countries are taking different positions." 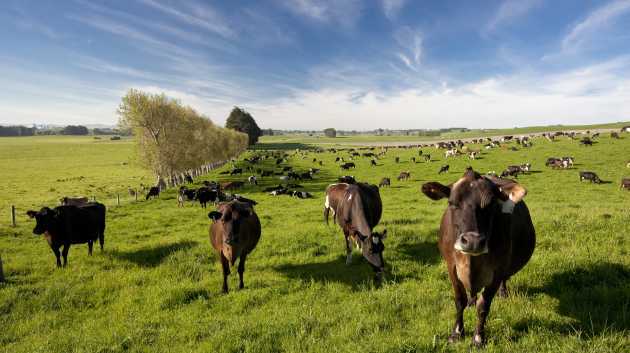 Malaysia, Vietnam and Sri Lanka were also restricting sales of New Zealand dairy products. Through a spokesperson, Mr Key said his main priority was safety and "everything else falls in behind". Fonterra's head of NZ milk products, Gary Romano, defended the company's decision not to immediately name the affected customers on Saturday. "The sheer reality is we understand our products and our supply chain. We have full visibility up until when we sell to our customers, but we don't have full visibility of the supply chain of our customers." Mr Romano could not say how much of the 38 tonnes of potentially contaminated whey protein had been consumed. On Wednesday test results indicated the potential presence of bacteria in a product sample, but the firm first identified a possible "quality issue" in March. In Beijing, the Food and Drug Administration said it had met officials from three companies importing Fonterra products and instructed them to "immediately stop selling and to recall all food products'' made with questionable material. China has increasingly turned abroad for milk powder including infant formula after a series of domestic food scandals. About 95 percent of its milk powder imports in January-March came from New Zealand, according to a government website, raising the prospect of a shortage if the alert continues. The Xinhua news agency said four importers of Fonterra whey protein had begun to recall and seal products in response to the health scare. One manufacturer, Shanghai based Dumex Baby Food, was also recalling two of its own branded formula products which were made with potentially contaminated whey protein from New Zealand, the agency reported. Dumex has produced 726.552 tonnes of its own brand milk powder products with potentially tainted materials with 420.188 tonnes already sold into China's domestic market, the country's watchdog authorities said, according to Xinhua. New Zealand Infant Formula Manufacturers Association chief administration officer Chris Claridge this morning slammed Fonterra for its "lack of a co-ordinated approach'' in handling the scare. "The lack of information that was given out is of utmost concern,'' he told TV3's Firstline programme. "We have seen piecemeal information released over the last 48 hours of the companies and the brands involved and this has caused enormous consternation both in New Zealand and internationally. Mr Claridge said the association had warned the Government three months ago that the response to such an issue needed to be properly co-ordinated.